IVANTI IT ASSET MANAGEMENT Keep your IT assets fresh and working hard for you. Are you only using 35%* of the software you paid for? 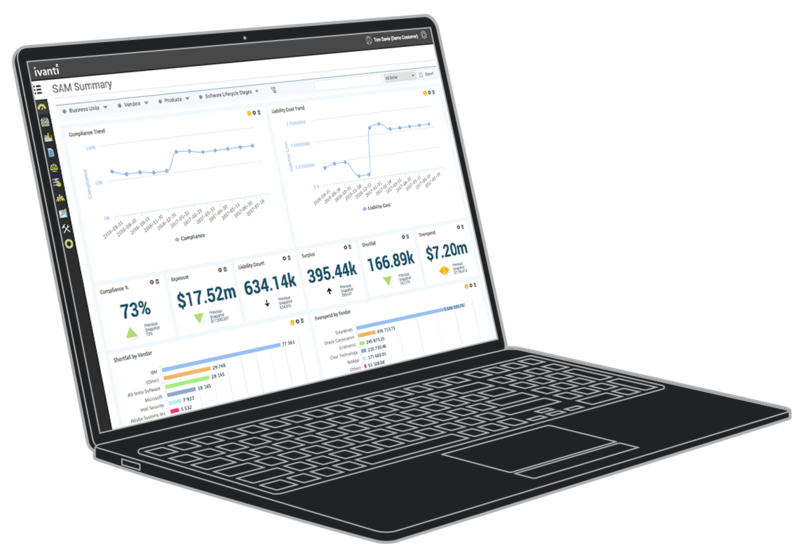 Slash your software spend and optimise your software assets. The good, the bad, and the ugly of every ITAM vendor. See how Ivanti ranks. Step-by-step guide on how to build a successful ITAM programme. IT Asset Management (ITAM) is not just a matter of tracking assets. It’s a matter of managing them throughout their lifespan to ensure they don’t fall off the radar and begin to deteriorate. Discover, normalise, and reclaim your IT assets to avoid the financial risk of mismanaged hardware and software. Losing track of assets puts your organisation at risk from non-compliance, software overspend, hardware downtime, or even security threats from theft or loss. Inventory and track assets from purchase to disposal. Within the first three months of using the solution to automatically identify and remove unused software, we had a cost avoidance savings of $958,000 in licensing fees. The truth is, most businesses have both IT hardware and software sitting idle, collecting dust, all while sucking up valuable resources. So why pay for licences or devices you don’t need? The reality is, organisations lack visibility needed to make the most of their IT investments. Detailed insight into your IT estate is a must to reclaim unused software, meet compliance requirements, and ensure your assets don’t become shelf ware. 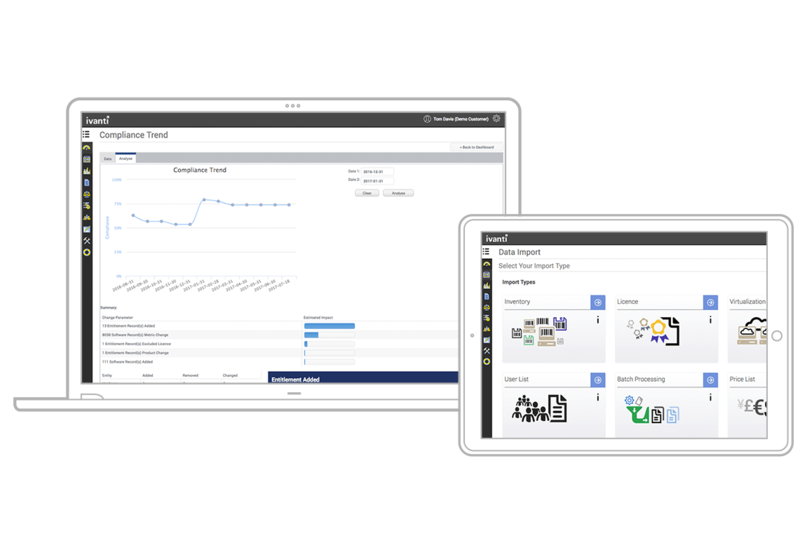 Ivanti Asset Manager Cloud tracks your IT assets to make them work harder for you. The solution's configurable design helps you define and follow your own workflows, or implement out-of-the-box processes. Whether managing software, hardware, server, client, virtual, or cloud assets, you gain a complete view of your IT asset management position. 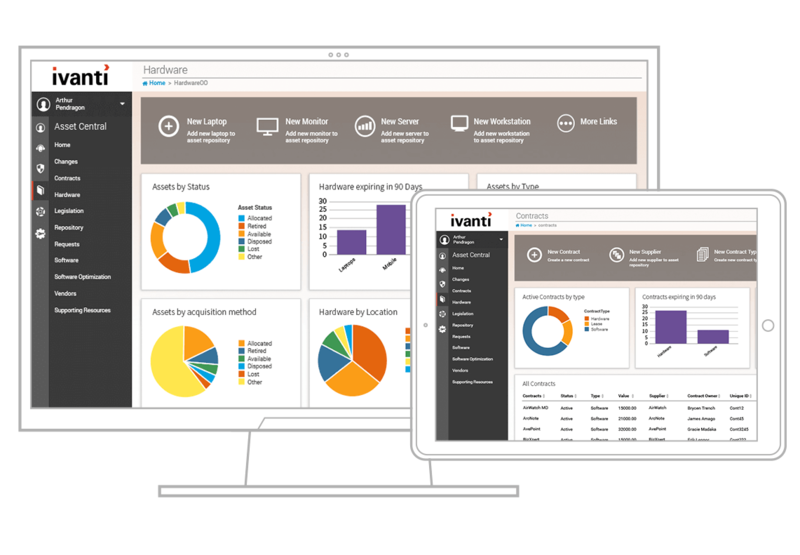 Ivanti Licence Optimizer discovers what software exists in your environment, tracks usage, and identifies areas where your IT assets can work harder for you. You can reclaim unused licences and reallocate software to maximise the performance and value of your software. Now you can gather the insight you need to minimise cost, mitigate risk of audits, and support transformation initiatives across all IT environments. The SAP licensing model is complex and you may not be aware of indirect access users consuming SAP data by viewing reports in other applications. You might also be overpaying for misclassified professional user licenses that you don’t really need. 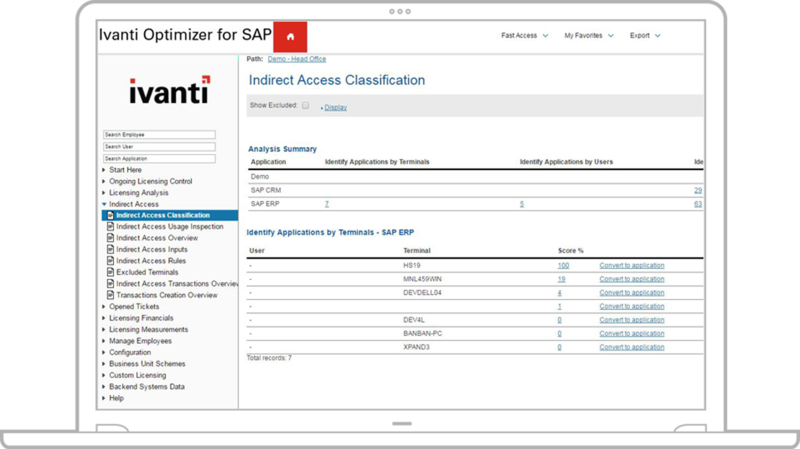 Ivanti Optimizer for SAP provides you with the insight and intelligence to ensure you are correctly licensed based on actual usage, empowered to reduce liabilities from indirect access or misclassified users, and armed for your next contract negotiation and upcoming SAP license audit. We'd love to help you get the most of your IT assets. We are here to answer any of your IT Asset Management questions. Ready to take the next step and optimise your software and hardware investments? Let's talk and find the best ITAM solution fit for your business requirements.